A series of posters and videos to advise when it is right to go to A&E. 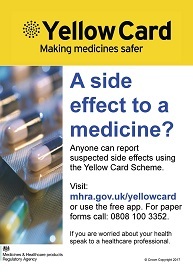 Widescreen range of posters and materials to advise patients of available services, DNA, Chaperone, Prescriptions etc. Selection of powerpoint templates from the Med-Extranet team for you to edit or localise. When you have edited make sure you "SAVE AS" using the *.jpeg file extension before you upload to the Media player. 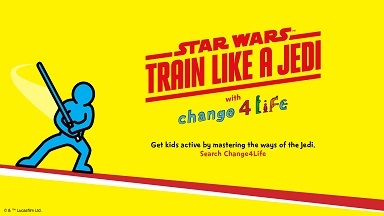 Campaign support for ONE YOU from Public Health England covering subjects such as eating well, drinking less, exercise & smoking. One You is aimed at all adults encouraging healthy lifestyle changes & helps adults across the country avoid future diseases caused by modern lifestyles. Everyday habits and behaviours - such as eating too much unhealthy food, drinking more alcohol than is recommended, continuing to smoke and not being active enough - are responsible for around 40% of all deaths in England, and cost the NHS more than £11 billion a year. It encourages adults to take part in a free online health quiz, called ‘How Are You’, to identify where they can make small changes. The quiz provides personalised recommendations and directs people to tools and advice created by experts to help them take action where it’s most needed. 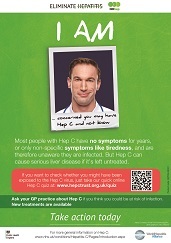 STOPTOBER 17 Poster (L) from Public Health England. 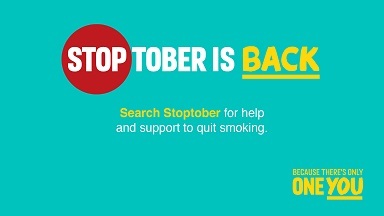 Thank you for supporting Stoptober 2017. 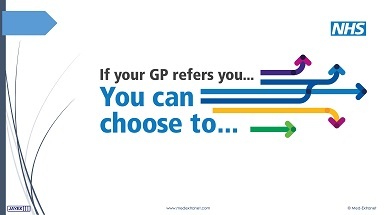 It’s great that so many GP Surgeries use the Jayex sceens & MedExtranet to promote effective health awareness. Small (HD) video presentation from Strategy and Innovation Directorate, NHS England. Detailing patient choice options, best in wide screen container.